The muffin/cupcake mould with that little bit more! 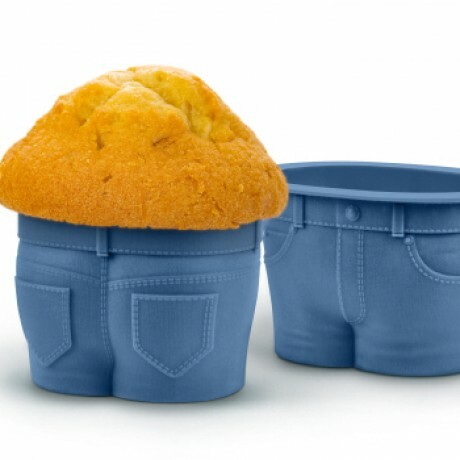 Set of four cute little blue jeans silicon muffin cases. Fill with your cake mixture and as the buns rise up in the oven the mixture will tip over the edge and give you that "muffin" bulge. Line them up on the plate and add a touch of humour to the day. Great stocking present and obviously for anyone who loves baking.